Choose “Advertising Partner” in the field “Partner Type”. 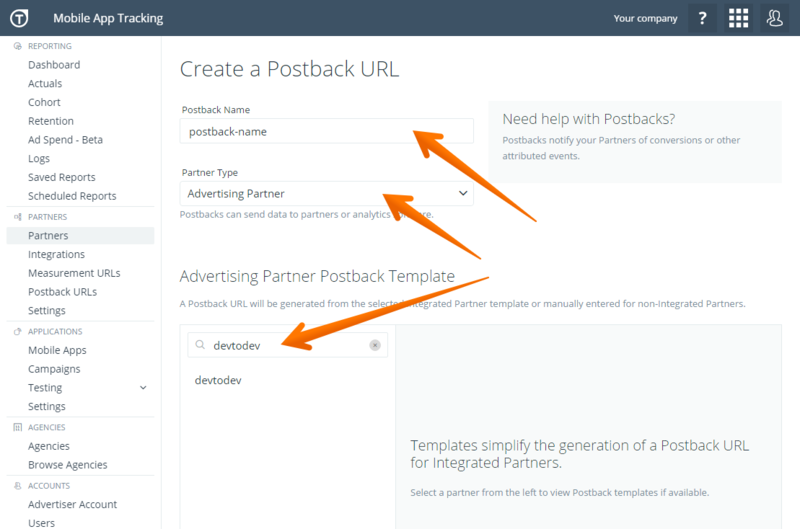 Find devtodev in Advertising Partner Postback Template list. 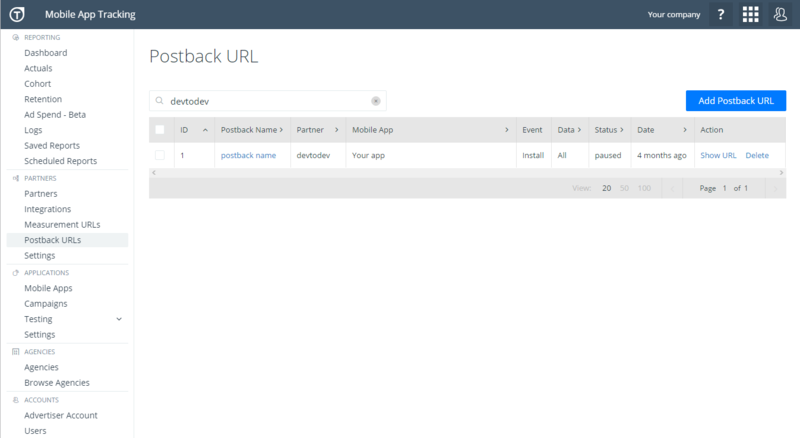 Copy the devtodev API key from “3rd Party Attribution. Tune” panel on the integration page in app settings in devtodev system. Don't forget to turn on the service. 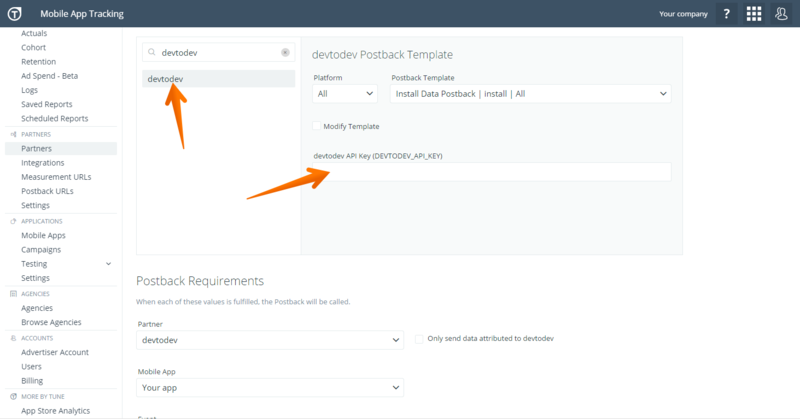 Paste the devtodev API key into the field. Select "devtodev" from "Partner" list. Chose the app you want to track from the list. Be careful when choosing from several apps. Set “Install” in the field “Event”. Set “POST” in the field “HTTP Method”. Set "Post Data Type" to “json”. The remaining fields are optional. Note: If you have multiple mobile apps for which you would like to set up this integration, you will need to follow steps 4-10 for each one of your mobile apps individually.